Robert Pattinson is described as a ‘worldwide idol’ in a sneaky new peek at his steamy Christian Dior ad campaign. The 10 second-long video leaked online shows an inside look at the hotly-tipped television trailer, and is thought to have been taken at a private press screening. The film roll shows R-Patz on the red carpet smouldering for the cameras, before cutting to him gazing over the New York skyline. 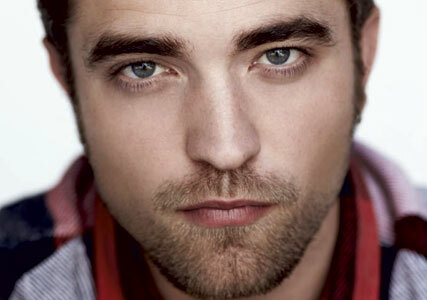 As well as naming him a ‘worldwide idol’ the Dior shoot introduces Robert Pattinson as a ‘new icon’. The latest look at Robert Pattinson’s hotly-tipped Dior campaign isn’t the first clip to be leaked. Last week, a snippet of the actor getting up close and personal with a beautiful blonde model in one scene were leaked online. Sources say the ad, which is only being aired in Europe (except the UK) and Asia, was shot back in December in the ballroom of New York’s Waldorf Astoria Hotel, and reports claim that it featured a wedding-style ceremony with lots of extras dressed in smart clothes. The story supposedly centres on Rob and a beautiful model then crashing the party and getting close on the dance floor. The video campaign has yet to be released, but we think it’s safe to say, we’re rather excited to see it.